If you are experiencing a leaky faucet, a clogged drain or some other frustration with your home’s plumbing then contact Finan Home Service. Your home’s plumbing system is a complex series of water pipes, drains, vents, and fixtures all connecting to both a water supply and a sewer system. Common plumbing problems requiring repair within a home’s plumbing system include: clogged drains, slow moving drains, burst pipes, leaks, and blocked sewer lines. If the problem in your home requires immediate attention or the problem can be solved by one of our technicians with the assistant of our “Warehouse on Wheels” then we will dispatch our technician to arrive at a guaranteed appointment time. When the tech arrives he will fully diagnose the situation and make the appropriate recommendations for solving this problem and avoiding future problems. 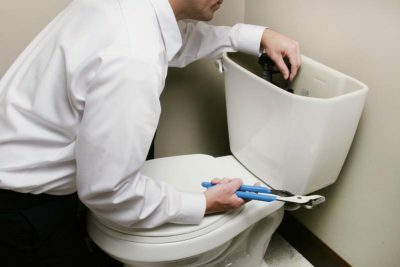 Questions about repairing your home’s plumbing?